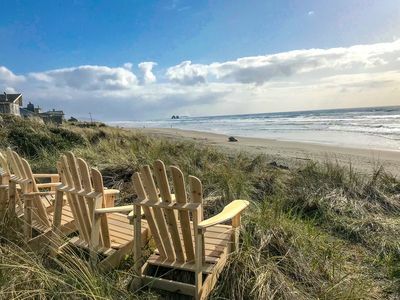 Whether you're looking for a relaxing getaway at the Oregon Coast or a home base for an adventure-filled vacation, check out these three dog-friendly Rockaway Beach apartments. 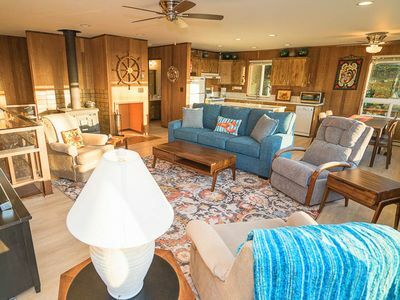 Ideal for a large family reunion or a holiday celebration by the beach, the three sections of this triplex each have their own living areas and kitchens. 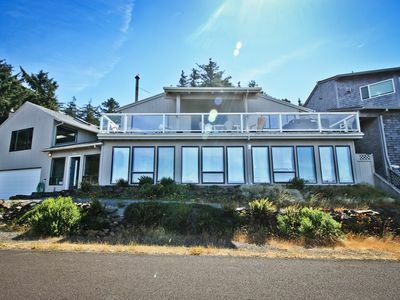 There's enough space here for up to 22 guests (16 adults) if you rent the entire property. 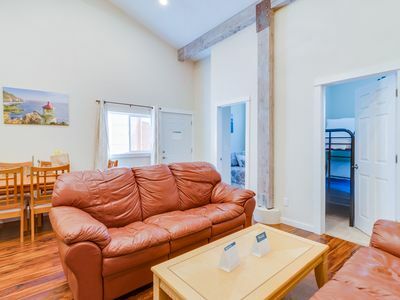 This rental is located conveniently close to Highway 101 where you'll find several local restaurants and shops throughout the Rockaway Beach area. 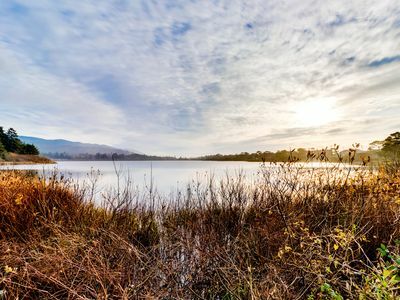 Head four miles south to Tillamook Bay for fishing and wildlife viewing and then take a tour of the Tillamook Cheese Factory just 13 miles from your front door. 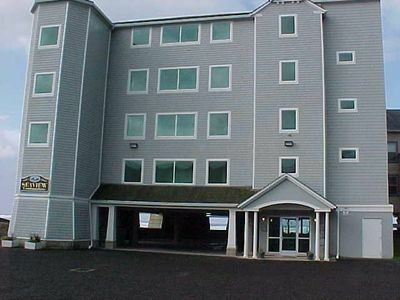 You may well just find yourself spending time one block away at the nearby beach, playing on the sand, splashing in the surf, or hunting for agates. 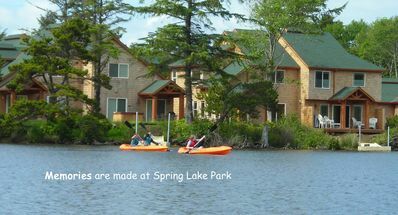 At home, each group can enjoy their own separate living areas complete with cable TVs, updated kitchens, and well-appointed rooms. 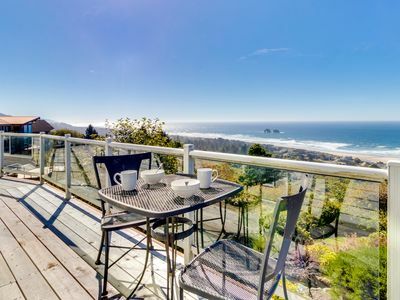 Outside, there's a shared patio space where everyone can come together to enjoy the fresh ocean breezes, and an enclosed, grassy yard where the kids and dogs can have a great time. 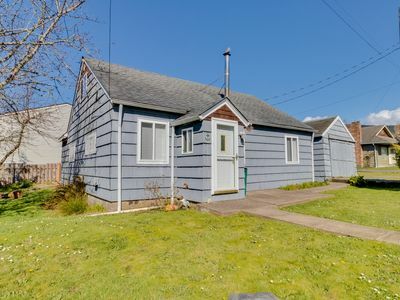 While this home does not currently offer WiFi, you should have no trouble at all getting online at one of the local cafes or other businesses in town. 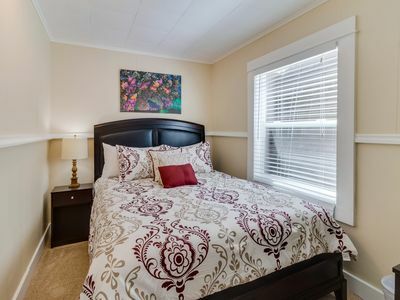 Medium-size family dogs (up to three, under 40 pounds each please) can also join you for additional nightly fees. 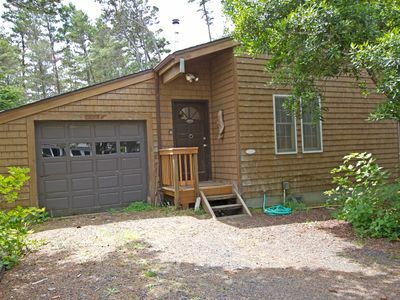 If you're looking to book a subdivided property for the entire family, consider this rental by the beach today! 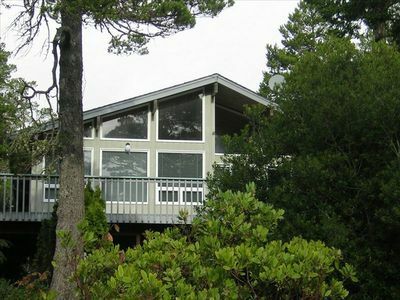 Chic 5 star Retreat, Designer's Dream House, Fire pit, Quiet Local near town! 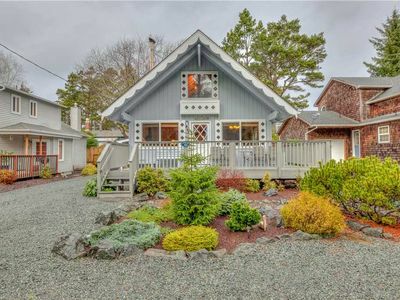 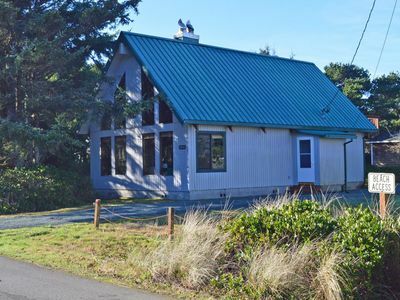 Charming beach cottage w/ a loft & fire pit - close to everything! 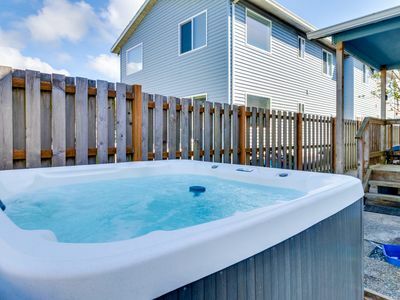 Dog-friendly oceanview home with private hot tub. 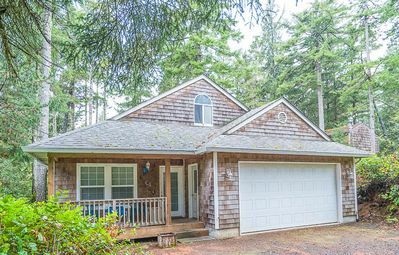 Close to beach & downtown! 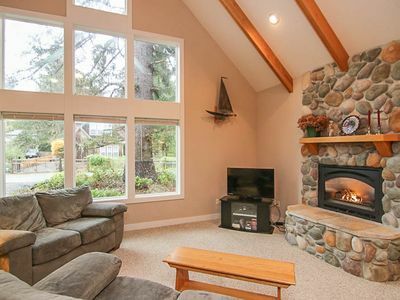 Rustic waterfront woodland lodge w/ impressive lake views from patio! 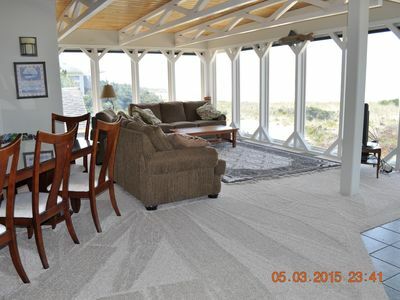 4 separate dog-friendly rentals near beach access - ideal for multi-families! 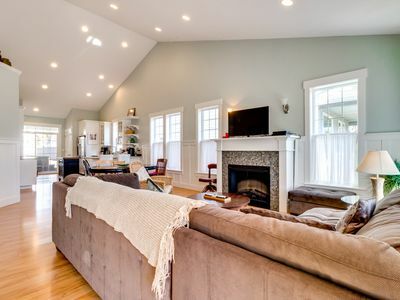 Jacuzzi, Fireplace, Loft and Perfect Location Set This Beautiful Home Apart! 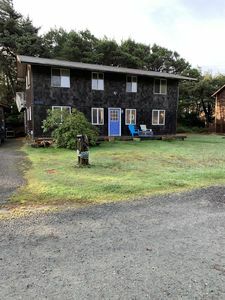 Excellent Manzanita Location Close to Beach, Town, Park and Golf! 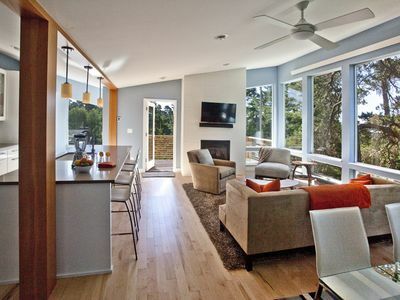 Bring the Kids and Relax in this Woodsy Manzanita Contemporary with Den!